First time on CD. 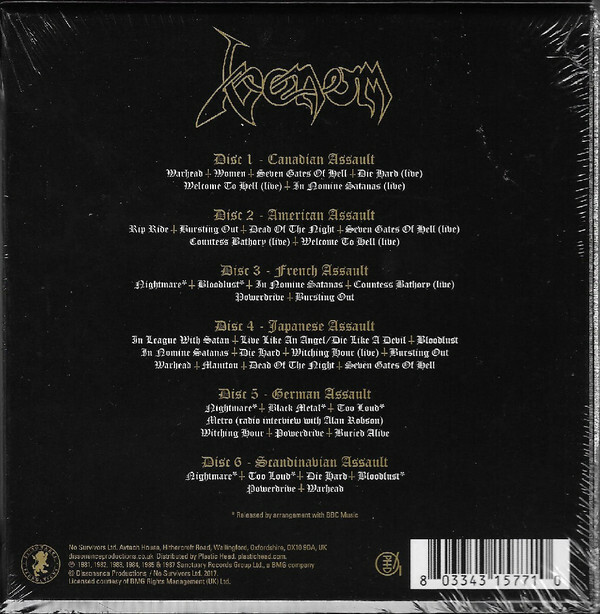 This SIX-DISC BOXSET contains all the EP's issued in Venom's 'Assault' series. Collected are the tracks from the Canadian, American, French, Japanese, German and Scandinavian EP's, adding up to 42 cuts of pure Venom massacre! Dating back to the period 1985-1987, the 'Assault' releases collected both studio material and previously unissued live recordings. Officially the band only agreed on the US, Canadian and Japanese EP's, the others were bootlegs. The 'Assault' issues were meant as limited edition souvenirs of each of the band's overseas jaunts. 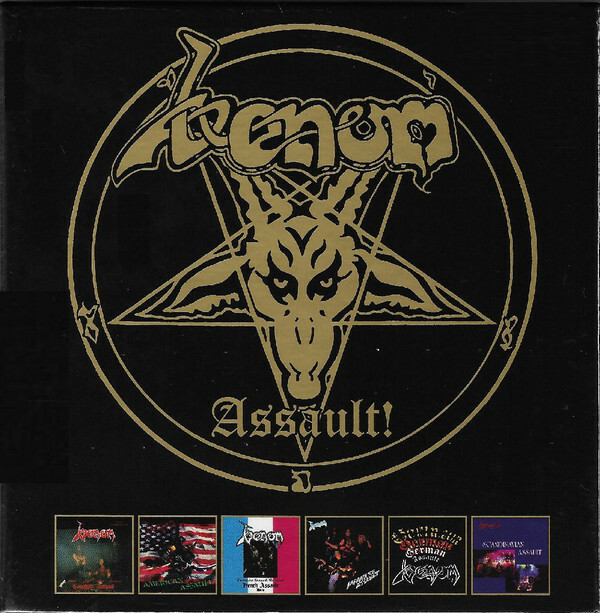 Selling no less than 50.000 copies, the Canadian version of 'Assault' reached gold status.